Pastel on Pastelmat. 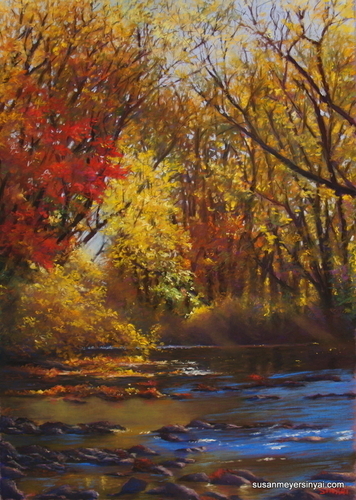 A scene from the Swannanoa River in Asheville NC, morning sun coming through the trees, lighting up the fall foliage. Professionally framed under museum glass. Currently showing at 32 Broad Gallery in Brevard, NC. Inquiries welcomed! 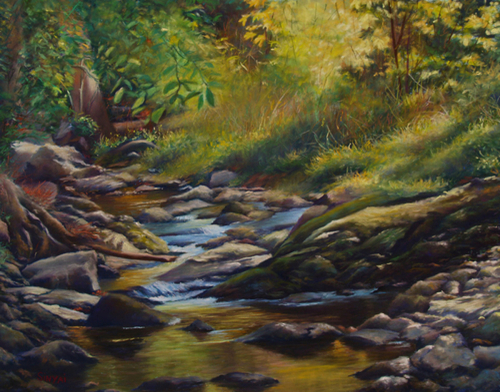 Soft pastel painting on Pastelmat, this piece describes an intimate creek scene on a late, sunny, spring afternoon. 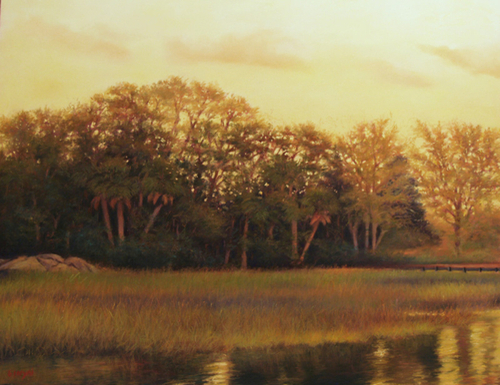 Soft pastel painting of a South Carolina marsh with warm tones and soft lighting. This painting won an award in a national pastel show judged by the late Ann Templeton. Professionally framed under high quality museum glass. 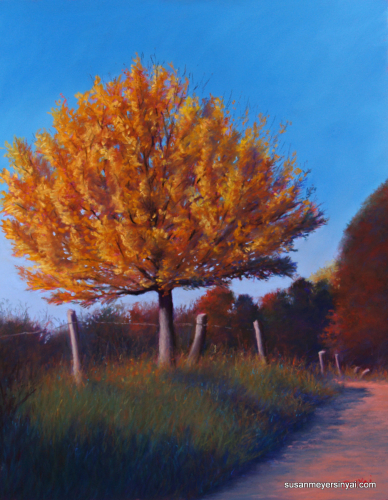 Realistic pastel landscape, a scene with brilliant fall colors. I loved this little tree, about to lose its leaves, standing so proudly against the brilliant, blue sky. Beautifully and professionally framed using top-quality museum glass. Soft pastel still life on Wallis paper. 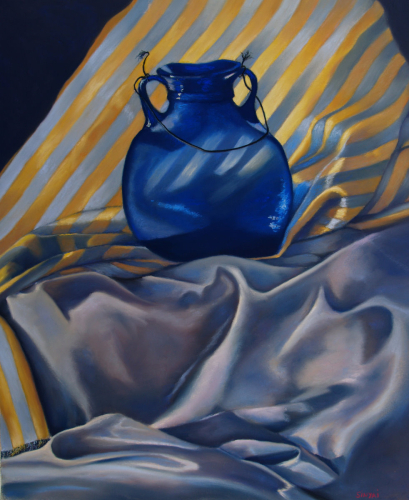 Beautiful antique blue vase silouetted against a striped satin fabric.